Recently, I’ve been thinking about the issue of what we leave behind. I’ve been prompted by reading someone else’s thoughts and fears on this matter for the past few months, as well as visiting my mother and looking at family trees and old photos. Of course, we don’t have a biological legacy, and our line ends on our family tree. We’re never going to be at the head of a family tree. Ouch. That hurts. But family trees are also always going to be flawed documents. Secret adoptions, mother and child raised as siblings, and illicit relationships all may alter the gene pool unbeknownst to anyone except the mother of the child (and maybe not even her). These days with donor egg, sperm and embryos there is even more scope for genetic inaccuracies to find their way into a family tree. What we think of as someone’s genetic legacy may not always be reliable. But even if it is accurate, what does it really mean to us? I barely remember the names of my great-grandparents, let alone my great-greats. What is their legacy to me? Maybe I have their curly hair or green eyes or too pale skin, or their intellect or compassion or musicality, or an unknown language ability, or their height or fear of heights. But the point is I don’t know any of that. I know I have my grandmother’s musicality, but apparently not her reputed (but unheard by me) singing voice. I know more definitively that I have my aunt’s diplomacy (though clearly not her modesty!) and love of travel and unwillingness to conform, and another aunt’s love of books and teaching (which maybe we both got from my great-uncle). I hope some of my nieces will have some of my attributes, and can remember that. Beyond one or two generations though, memories fade, and we become just a face in a photo album, or a name on a family tree. So I wonder, what is a legacy besides genes? A legacy can be so much more. It can be big, impacting the world, with our names unlikely to be forgotten … not least in the short or medium term. We might be Margaret Cruickshank, New Zealand’s first woman GP whose statue was also the first of a woman in our country, and stood on the main street of our town, inspiring me to know it was okay to fill roles others might think of as “just for men.” We might be Nelson Mandela, teaching others to forgive, or Jane Austen or Katherine Mansfield, writing books that will be read and loved and remembered hundreds of years later. That’s big, and for all of us but a select few, it is unlikely that we’ll have this kind of legacy. I certainly don’t feel the pressure to do something “big” simply to be remembered. So if we're not leaving our genes, and we're not going to be Mandela or Einstein, we can still leave a legacy that makes the world a better place. Whether it is because of children we mentor, or lessons we teach, or characteristics we role model to others, or the help we give the less fortunate, maybe our contributions will benefit the wider world. Perhaps we change the world through policy or ideas or actions, or perhaps we just make the world a better place by helping one or two people, helping them live life more easily. A legacy of simply helping one person at a time, one day at a time. This is the kind of legacy I think we can all aspire to – whether as a parent (biological or not), or an aunt or uncle, or friend, or stranger on the internet. 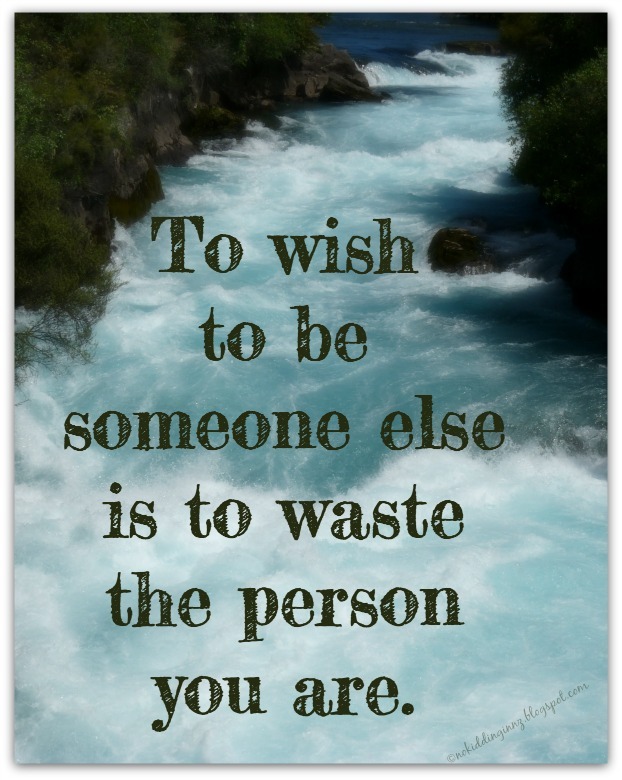 It is within our reach – we can all do this. I suspect that those of us who blog in this field all do this to a greater or lesser extent. People read our words, and feel less alone. That isn’t a small thing. To ignore this is, I think, to ignore our humanity, to turn our backs on what we can achieve, and to squander what is good in ourselves. We are more than just our biology, and this proves that. Regardless of what we tell ourselves. Maybe the first and most important step is simply to be more aware of what we think, and what we do? Will we be remembered for what I do? Probably not. But as I pointed out earlier, after a few generations, we are all – parents or non-parents - forgotten. Time passes, and memories fade. My littlest niece was born after both her grandfathers had died. They are just names to her, and always will be. As we will be to others. Yes, maybe we will be forgotten a little before those who are parents. But this isn’t something that really vexes me. I’ll be dead after all! Wanting to be remembered is, I think, simply ego. (As is the need to leave a biological legacy, although that is also driven by biological and societal imperatives.) It may be natural, but I think ultimately, once we have to give up on the biological factor, it is much easier to give up on our egos. And this is easier as we start – necessarily, in this no kidding life - to see the world with different eyes. I don’t care if I’m remembered, though I suppose (provided the memories are positive) it would be nice. I’ve never wanted or needed to be famous. And I don’t need to be given the credit for something I’ve done or said or written, if– by the end of my life – it has influenced someone in a good way, someone who then might pass that on to someone else, who might repeat it to friends or relatives or future generations. If that happens, then I can be proud of that legacy. Whether or not anyone knows I did it, it has still happened, and perhaps I was the catalyst, or perhaps I just passed on something someone had sparked in me. If I’ve done or said or written something that has made people feel better, then I don’t know how that might have changed their life, or even the world. I believe in the butterfly effect - I don't think we ever quite know how we influence people, or what changes other people might make in their lives, after even a brief interaction (positive or negative) with us. And whilst I’d like to know if I had made a positive impact, however small, I don’t really need others to know and remember I did it. I still had the impact. I still changed the world, or someone’s world, for the better, and my legacy will live on. And maybe that’s better than simply possessing the biological ability to pass on genes to a future generation. I think leaving a legacy in thoughts or deeds or emotions is harder though. It takes more effort (even though we all know how much effort so many of us have put into trying to become a biological ancestor). It requires character, goodness, energy, and insight. Leaving a legacy in thoughts and deds this way is not the short end of the stick. It isn’t lowering our expectations, or lowering the bar. It's raising it. Growing up, and even as a young adult, I hated uncertainty, and loved to plan. I hated waiting for things, even though I was relatively patient in other respects. I hated waiting for exam results, I hated waiting to find out if I was accepted for my student exchange, and I hated waiting to see if a boy liked me. I liked certainty, as I am sure we all do. In my 30s, one of the main things I disliked about all the international travel I did for business was the uncertainty it imposed on my life, and my lack of ability to plan. Maybe that’s why we all assume that we’ll be able to have children? Because we want to feel that life is certain, and that our futures can be known. Is the idea of not knowing just too hard? 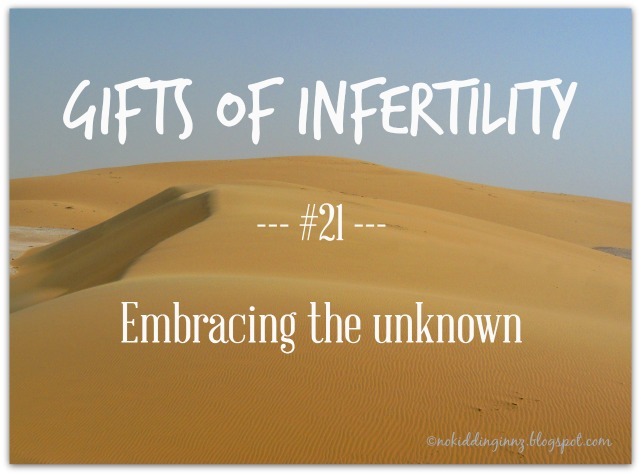 Infertility, of course, was nothing but waiting and uncertainty. Waiting to find out if we would conceive, waiting to even be able to take a pregnancy test, waiting to find out if my pregnancies were viable, waiting to find out if I had an ectopic or trophoblastic disease, waiting to be allowed to attempt IVF, waiting between cycles, waiting to see if I responded to drugs, waiting to see how many eggs there were, waiting, waiting, waiting. Everything about our future was unknown. Everything, until that last fateful day, was uncertain. But finally the certainty that I had craved had arrived. But it wasn’t the certainty I wanted. Getting that certainty in the knowledge that we would never have children – well, it was very difficult. Because it opened a world of uncertainty, of not knowing what was down that road less travelled. It meant that the direction of the rest of our lives was still unknown. I wanted a plan, but we didn’t have one. I felt rudderless and cut adrift. The thing is, we still don’t have much of a plan. Life gets more uncertain as we age. We have responsibilities – not children, but elderly parents – and we can’t plan our lives the way I’d like to. We know too that we are very mortal. Who knows if we’ll be healthy this time next year, or in ten years, or twenty years? We’ve lost jobs. We don’t know what will happen to the economy, to our finances, to our future. We live on a major fault-line. Life is constantly an unknown. That’s for certain. Having learned this one thing – that life is uncertain, and the future is unknown - I had no option but to accept it. And I realise now that I no longer mind this. We never know what life will deliver. We don’t know what tomorrow holds, let alone what we’ll be doing, and how we will feel, years in the future. And you know what? I’m okay with that. It turns out that the unknown doesn’t really bother me any more. In fact, it even excites me. There could be something wonderful just around the corner. And even if there isn’t, looking for that something wonderful is exciting and a gift in itself. The unknown is worth embracing. Let’s do it together! I remember bristling at this pity, because this person didn't know if we’d wanted children or not (unless my face or voice showed the sadness that was still so close to the surface), and I resented the assumption that not having children should make me the object of pity. 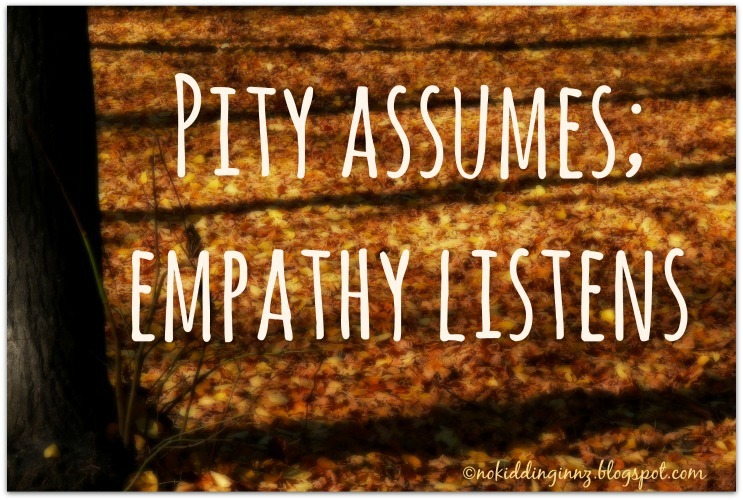 I’ve always felt confused by my reaction to what essentially was a kind reaction, and by my distaste for any suggestion of pity from anyone, whilst at the same time fervently wishing people could be more sensitive, and try to understand what it is like for us in this child-focused world. She hit the nail on the head – thanks Iris! 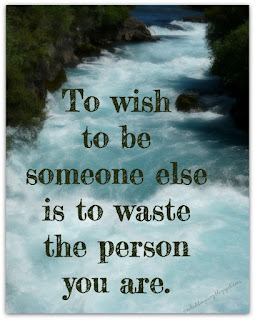 I want to be happy, and unhappy, to feel the way I feel, to be heard, and acknowledged. That’s empathy. 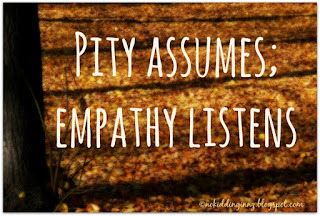 Empathy listens; pity does not. It assumes, and in doing so, isolates, condescends, and shames. 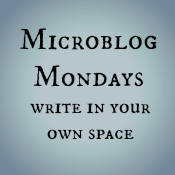 When I am at a loss for a blog topic over on A Separate Life, I have a couple of times written a list of blog prompts (sent to me weekly on an email list) that I won’t be using for ablog post. I have so far managed to hide (I think) my frustration at the number of “you as a parent” suggestions, but don’t feel the need to do so here on No Kidding. Write a poem inspired by the last conversation you had with your a child. 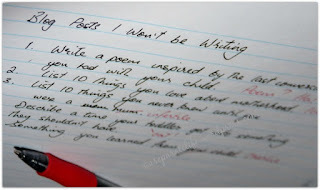 List 10 things you love about motherhood having children in your life. 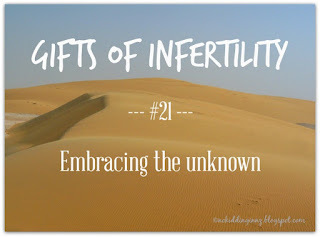 List 10 things you never knew until you were a mom an adult/in your 30s/infertile. Describe a time your toddler a child or your pet got into something they shouldn’t have. He reminded those newly bereaved military parents in the audience that he had more experience in this than they did, and that he knew this was true. It was true for him and the loss of his wife and daughter so many years ago; it was true for me with the loss of my two pregnancies and the hope of any children over a decade ago. Now I can fondly remember my love for the children I never had, and feel that love without the pain. I too have more experience in this than so many of you, and one thing I know is that it will be true for you too.